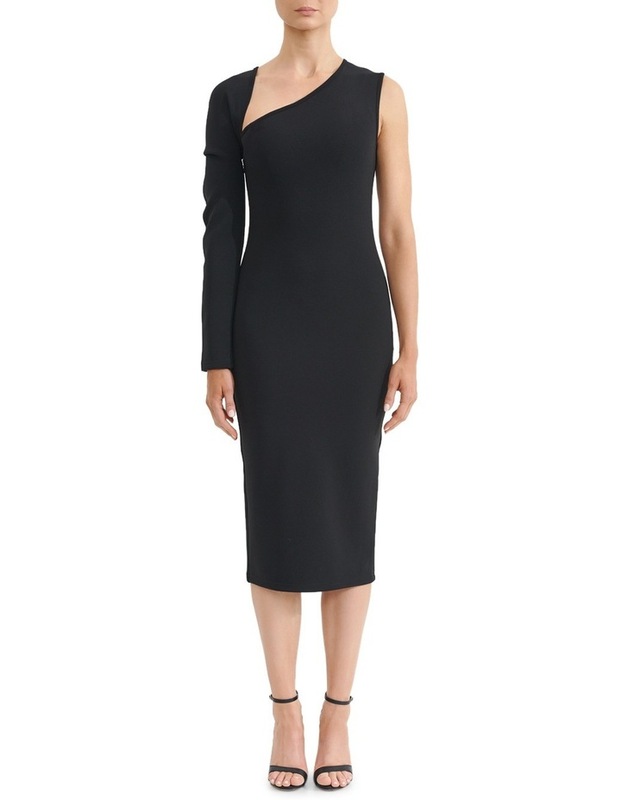 Asymmetric dress with cut away neckline and one sleeve. Fabric is a beautiful crepe with plenty of stretch. Invisible zip in side seam, dress finishes below the knee.